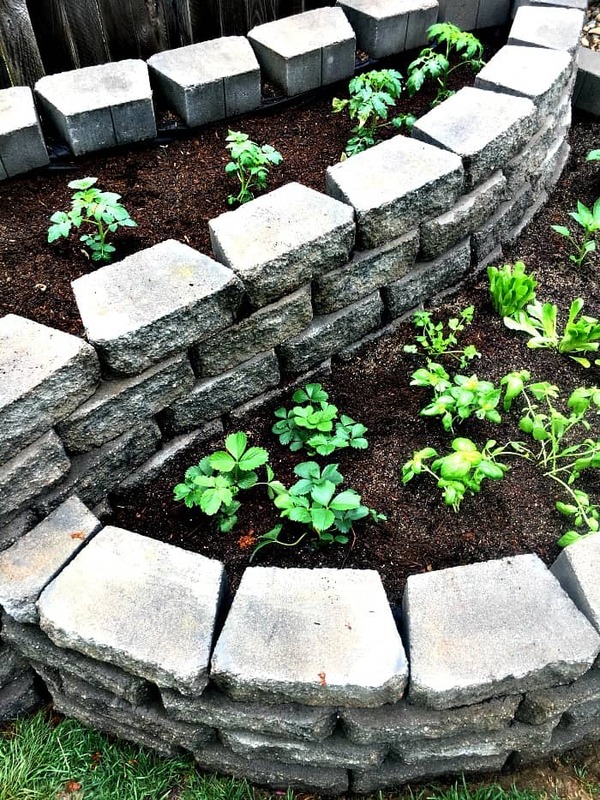 Learn how to build a raised garden with pavers that adds a fun architectural element to your yard. 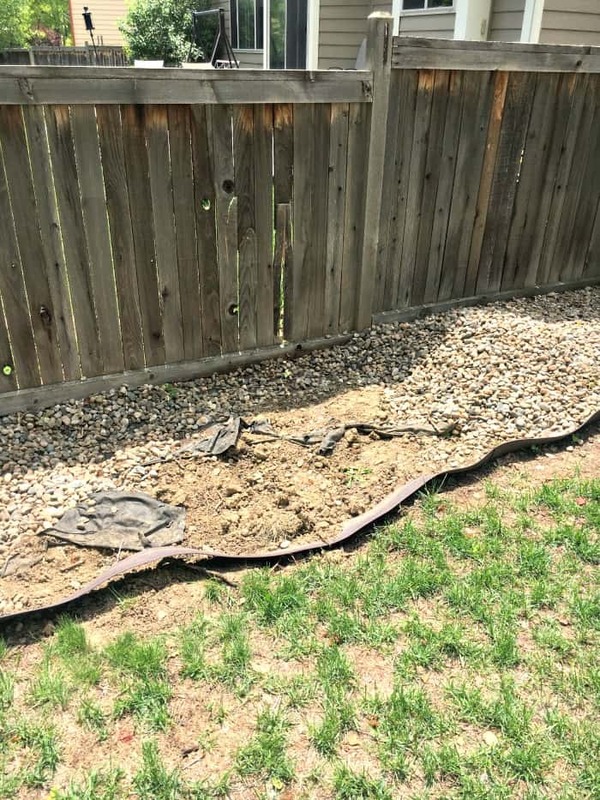 When we bought our home almost three years ago, the backyard was an area with problems. There were mature trees and plants but no obvious layout or up keep. 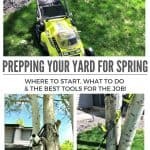 The first year the backyard was completely left untouched because I wanted to tackle more updates to the inside of the home. 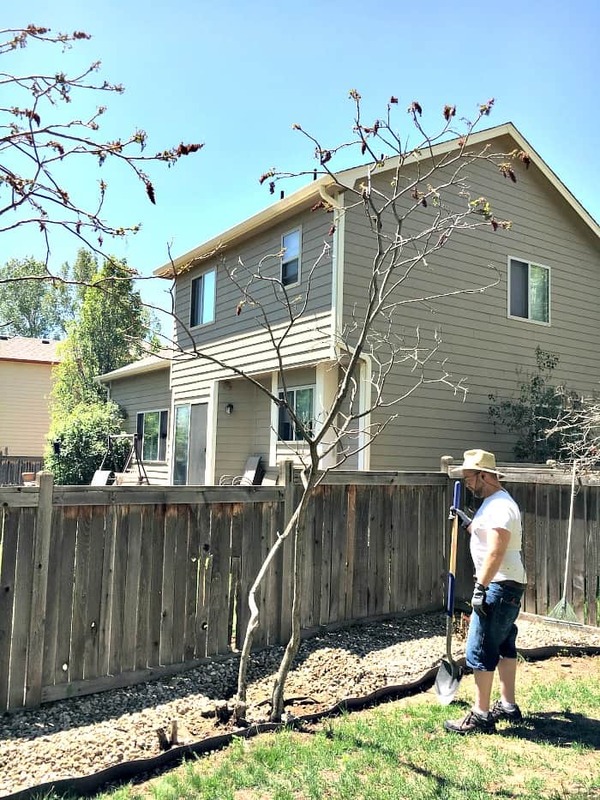 The second year we deigned a plan and started removing unwanted or dead/dying bushes and trees. So now this year, we are making some much needed improvements to this area. 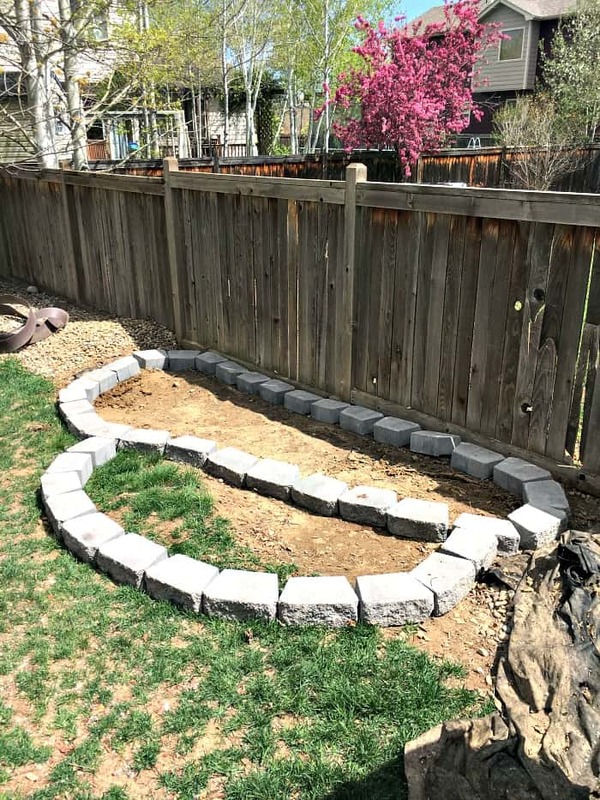 The first project was to build a raised garden with pavers. We located the perfect place in the yard where it gets a steady stream of sunlight most of the day. The only problem was some Sumac trees that we were not fans of anyway. So last fall, we (and when I say we, I mean my super strong hubby!) actually removed those trees and their crazy long roots. And since then, we’d been left with this lovely sight all winter. I’d been so tired of looking at this ugly spot, that when Spring arrived I was totally ready to build that raised garden. I wanted it to be a place for us to grow some yummy food (hopefully) and also add a nice aesthetic design to our boring backyard. After about four days of work, we created our raised garden. I love how it turned out! The tiered level gives it a fun little addition. And even though I am a BIG fan of symmetry…I really like how this garden is not. It just seems a little more creative or funky! 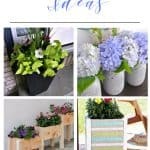 This Summer DIY raised garden is a great project for an outdoor area you want to give a little special love. 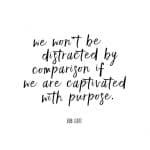 And it doesn’t have to be just for a garden. 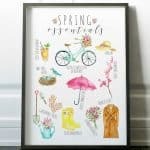 A beautiful collection of planted flowers would also look amazing! 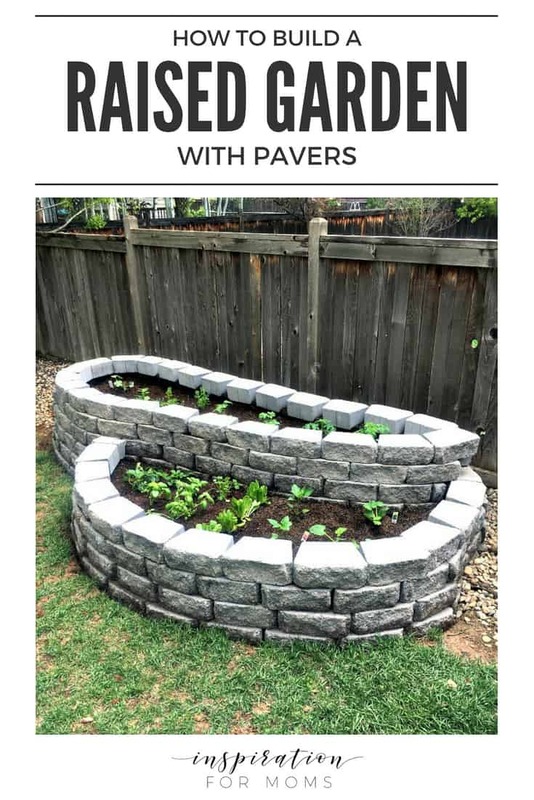 So are you wondering how to build a raised garden with pavers? I have the complete list of all the supplies you need and the step-by-step tutorial to follow. 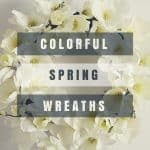 This post contains affiliate links for your shopping convenience. Click here to read my full disclosure policy. Start by laying out a single row of pavers and creating the design for the garden. I wanted to create a tiered look with this garden so I divided the layout into two sections. The smaller section would be the lower level. My husband was a little shocked with my design because he said I usually want symmetry in almost everything I do. But for some reason, this look just seemed right. Next step is to dig the trench for the first layer of pavers. 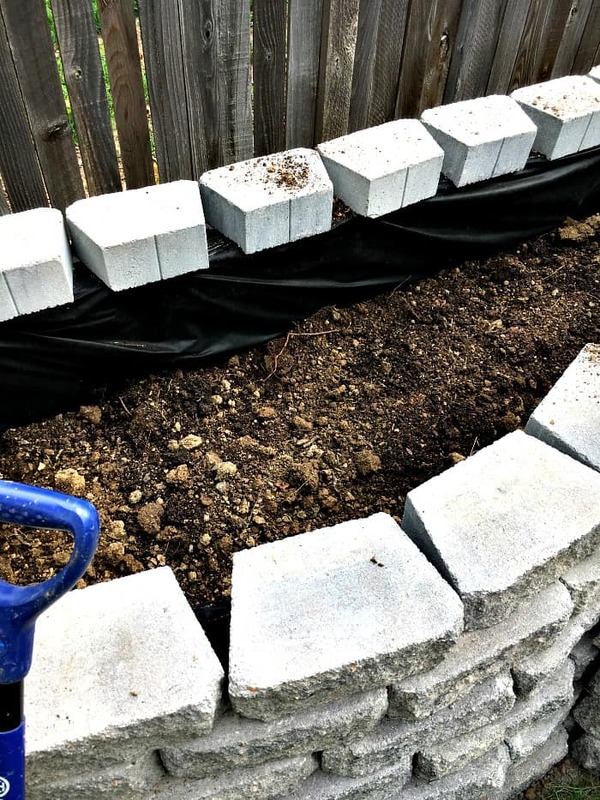 Digging the trench is a very important step in building a raised garden. 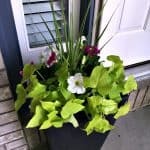 It prevents the grass from growing under the pavers and up inside the garden. 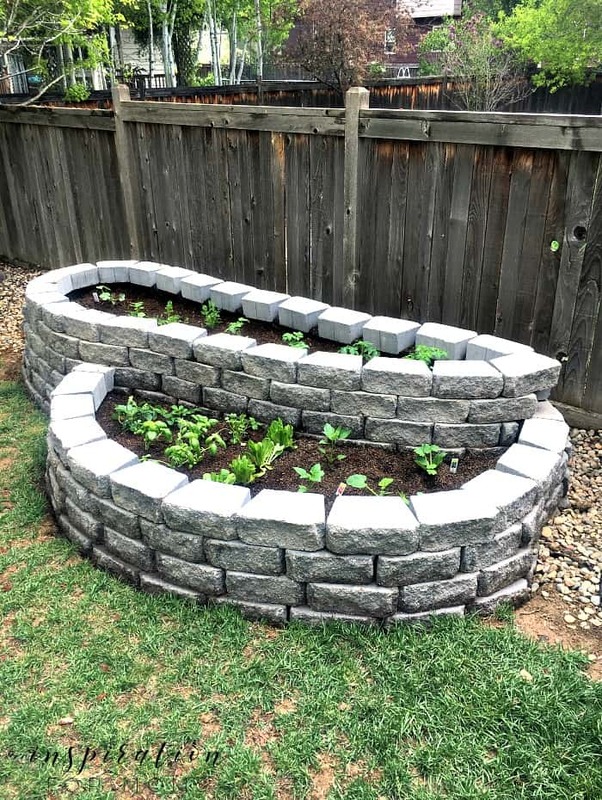 It also gives you a nice solid support to build the retaining walls of the garden. The trench should be deep enough for about 3/4 of the paver to be covered. You can see an example in the photo below with the one paver that’s already placed in the trench. Once the trench is dug, now it’s time to level. The garden should be as level as possible to keep the structure secure and stable. 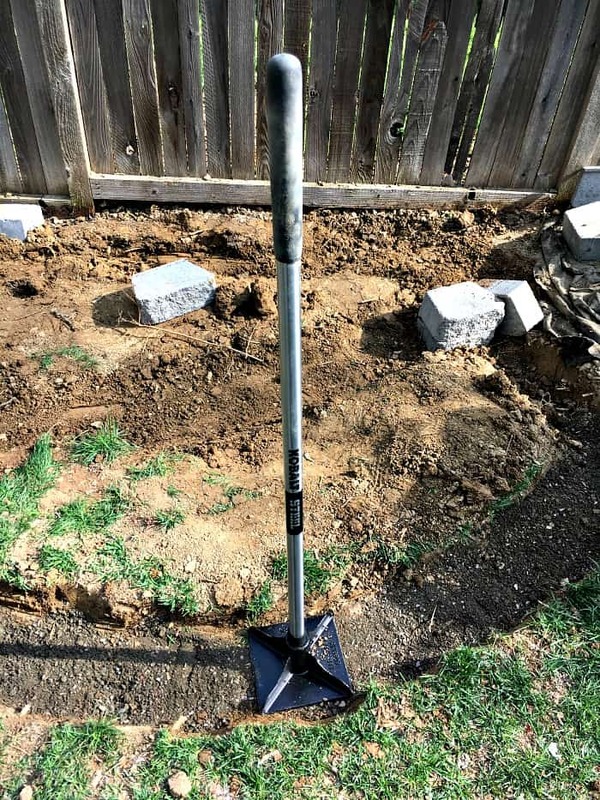 To begin the leveling process, pour some paver sand into the trench and them pound flat with the tamper. Then place the pavers in the trench one by one. 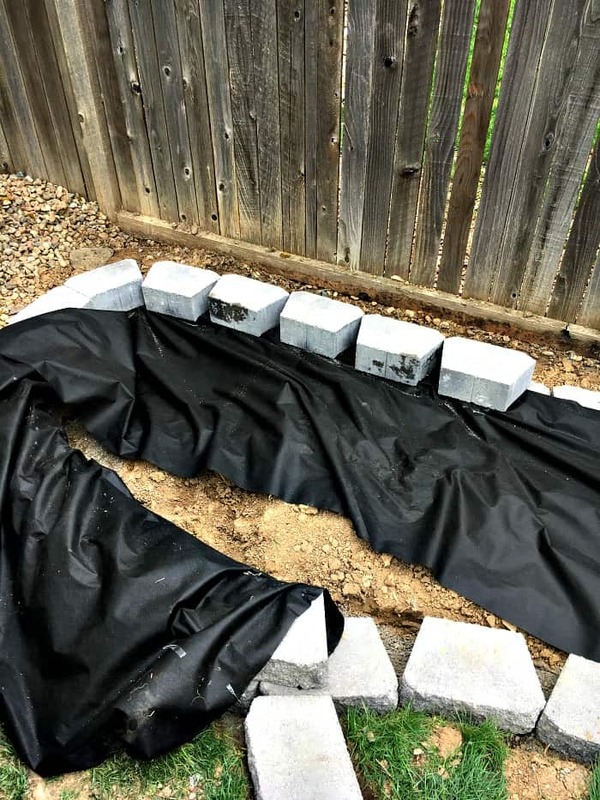 Check to see how level each stone paver is and then add or remove sand as needed. This step was really challenging because our garden area slopes in two different directions. Who was the smarty pants that chose this spot in the yard to build a raised garden? Ya, that was me. Ugh. I spent a few hours working each paver to get it as level as possible. It’s time to add the landscape fabric. Some may say this step is not necessary but I feel it’s important to keep all the soil enclosed. 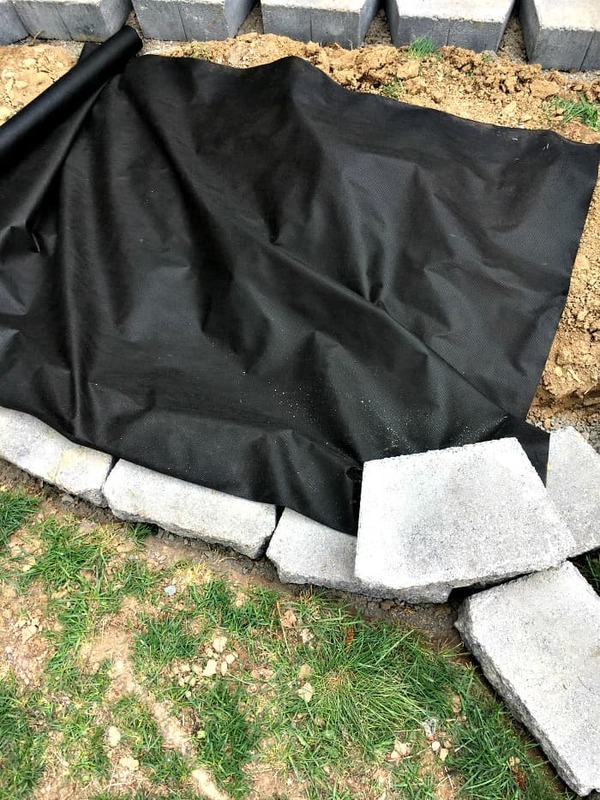 The fabric prevents the soil from making its way out of the garden between the pavers. Since I am filling the garden with rich, high quality soil…I want to keep it in there! 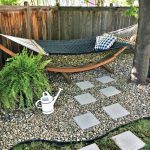 Place the fabric on the first level of pavers, leaving a 1/4 space on the outer edge. Then place the second layer of pavers on top of the fabric. Here you can see what it looks like after about half of the second layer of pavers are installed on the garden wall. 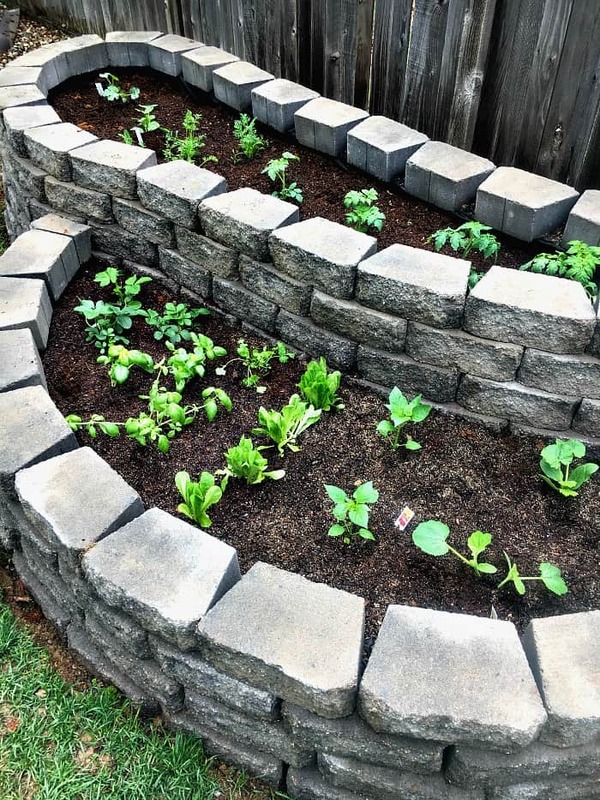 Build the walls of the garden by stacking the pavers. 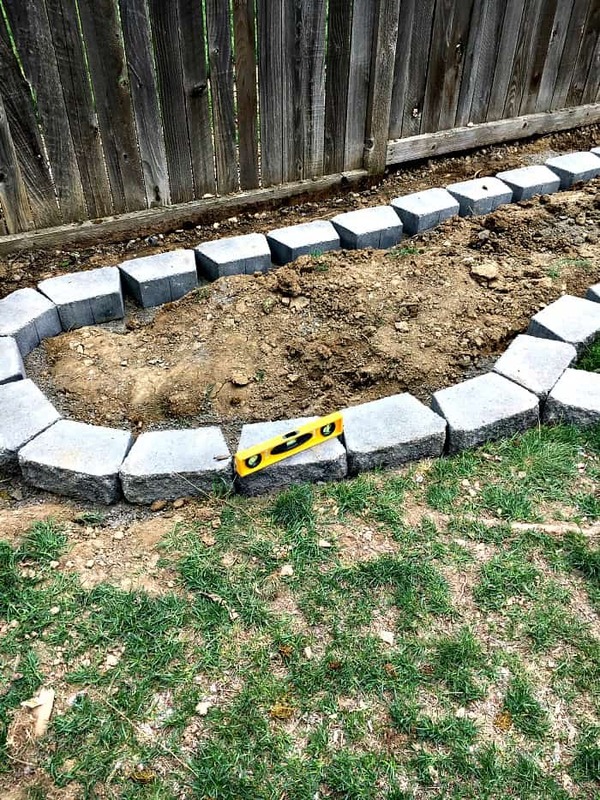 It’s best to stagger the pavers beginning with the second row by positioning each block so it spans over a joint. This will require chiseling some pavers in half or so to complete each row. 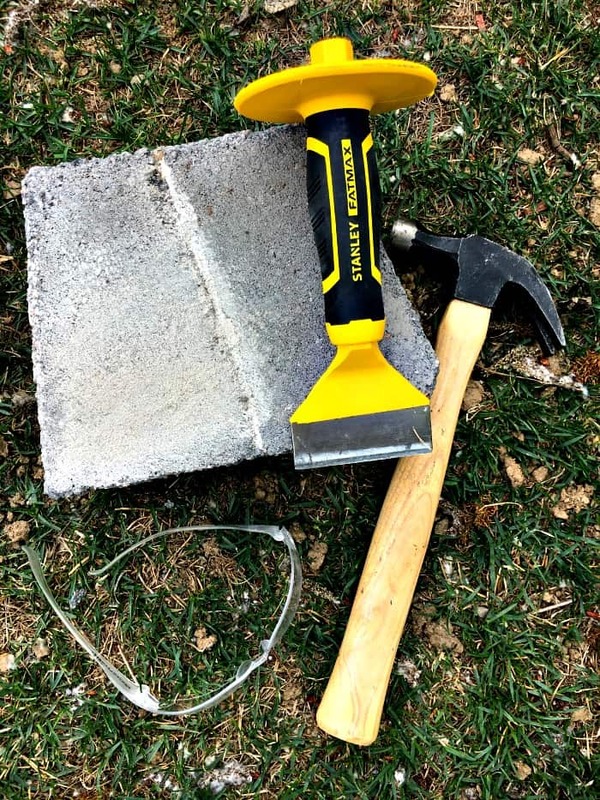 I used a simple masonry chisel to break my pavers down to the correct size. When the last layer of pavers are ready to be placed, the landscape fabric is pulled up and laid on top of the stone again. Then the last row of pavers is placed on top of the fabric. This will keep the fabric in place and tight. 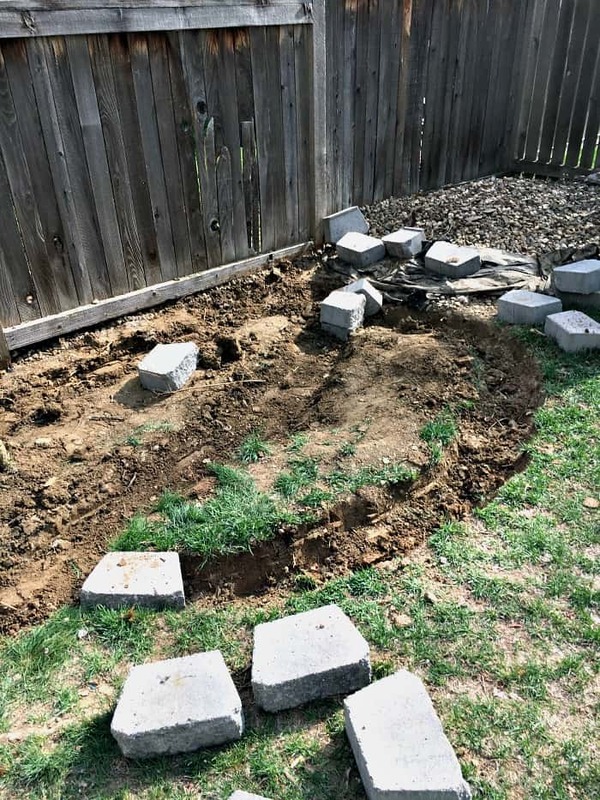 I didn’t finish my garden with capstones as the last layer. (I still may do that…just debating for now.) But if you would like to, simply apply some landscape adhesive first to help set the capstone. Finally, fill the raised garden in with soil and plants. For the garden, I used a combination of peat moss, organic compost, organic garden soil and some vermiculite. After that was thoroughly mixed, I just had to add the plants. The upper section has four different types of tomatoes, carrots, one watermelon plant and one pumpkin plant. The lower section has strawberries, basil, cilantro, roman lettuce, bell peppers, one yellow squash and one zucchini plant. I so hope everything grows! That’s really going to be the fun part. If you found this tutorial helpful, please PIN it so that others may find it as well. 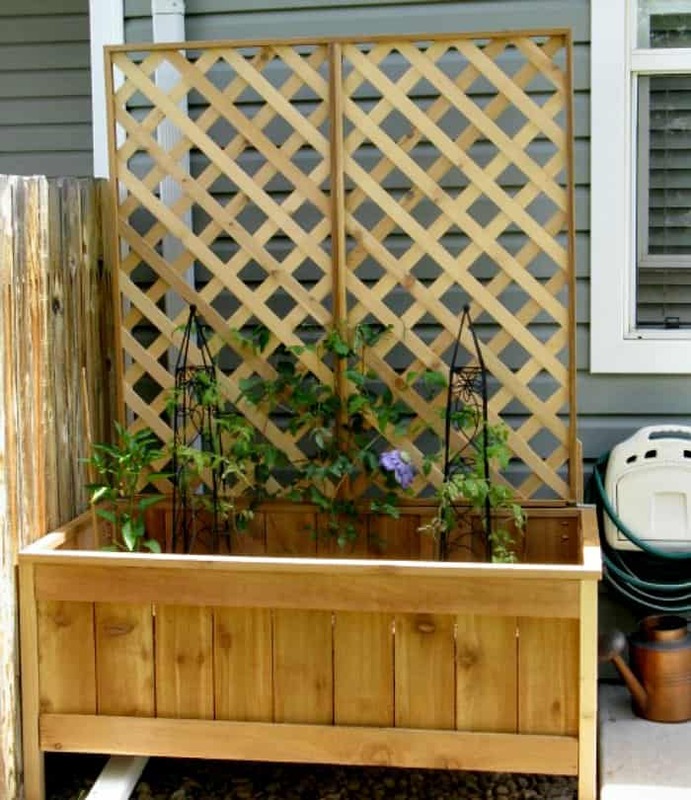 If you’re looking for more of a cedar raised garden…I’ve built one of those too! You can check out that tutorial by clicking here. 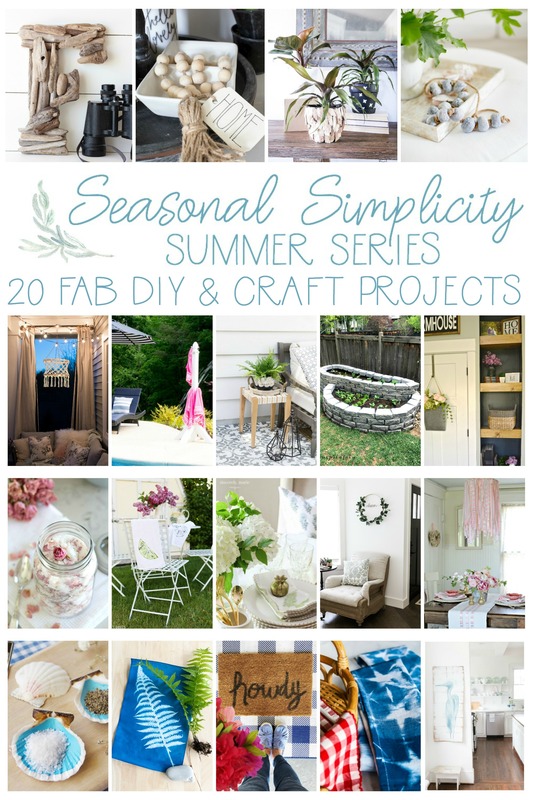 I have even more great Summer DIY projects for you linked below! 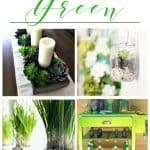 I hope you find a great Summer DIY project to enjoy!